Sounds of rhythmic drumming waft through the open windows of Corporacion Piñones Se Integra or COPI, a community center that sits on the waterfront of the Torrecilla Lagoon in Puerto Rico–less than four miles from the Luis Muñoz Marín International Airport in the bustling capital of San Juan. The pulsing drumbeat travels down the street in Piñones on this sunny Saturday morning, but can be felt symbolically in the surrounding municipality of Loíza and throughout the island. The sound attracts a crowd of people to the light-yellow building. A large mural on the front of the center celebrates a group of Afro-Puerto Rican women—one of whom stands in the middle, holding her skirt in her hands, dancing Bomba. Some people peer into the building from the open windows while others pack into the back of the wooden dance hall to watch a group of women and young girls move in sync with the quick tempo of the drum beat. Cruzmari Román Rivera, a member of the COPI team, stands on the raised stage at the front of the room and teaches the group how to dance Bomba. Bomba involves a range of different rhythms and improvisations–patterns that require a unique collaboration between those dancing and drumming. The group of young girls and women wear long, brightly colored skirts that flow outward from their bodies. They hold the ends of the skirts in their hands, using the bold reds, greens and yellows to decorate the air as they move. Every few minutes, Román Rivera introduces a new rhythm and models how each woman should move their hips, feet and arms to meet the faster or slower tempo of the drums. Two male drummers sit on either side of her and watch her intently. One of them maintains the basic rhythm of the song, while the other improvises patterns that match the speed and intensity of Román Rivera’s movements. Román Rivera forms the group of dancers into a circle and asks each person to step into the middle of the room to perform what they have learned. The youngest girls in the group volunteer first and dance with confidence. Their movements are quick and each finishes her turn smiling. “Eso!” Román Rivera yells joyfully, clapping her hands and dancing around the circle as each person takes a turn. Bomba is a musical genre of African heritage born in Puerto Rico. According to many accounts, Bomba originated in the 16th century as enslaved Africans were brought to the island under Spanish colonization and forced to work on plantations. The tradition developed out of a history of African community and resistance on the island–particularly in Loíza, the town most associated with Afro-Puerto Rican culture. Today, Bomba continues to be a form of resistance and sustenance for Piñones, a predominately Afro-Puerto Rican community of less than 3,000 people within the town of Loíza. Despite its close proximity to the larger municipalities of San Juan and Carolina, Piñones remains relatively isolated by natural barriers–its picturesque beaches largely undeveloped. Piñones has struggled for years due to a lack of resources and government support. The community is consistently threatened by displacement and grapples with high rates of poverty, inadequate social services, and a depressed local economy. Loíza celebrates tradition, which “unites and identifies” residents, in the words of Dr. Bárbara Abadía-Rexach, a professor of sociology and anthropology at the University of Puerto Rico Rio Piedras, who studies the racialization of Bomba. She says the tradition can be used to examine racism in Puerto Rico and understand a national identity that often excludes blackness. Maricruz Rivera Clemente, a social worker and the founder of COPI, noted that Bomba was not prominent in Piñones when she was growing up in the community. COPI helped change that for community members and visitors alike. Now, community leaders, such as Rivera Clemente, are dancing and sharing Bomba to maintain their stake culturally and economically in the community. 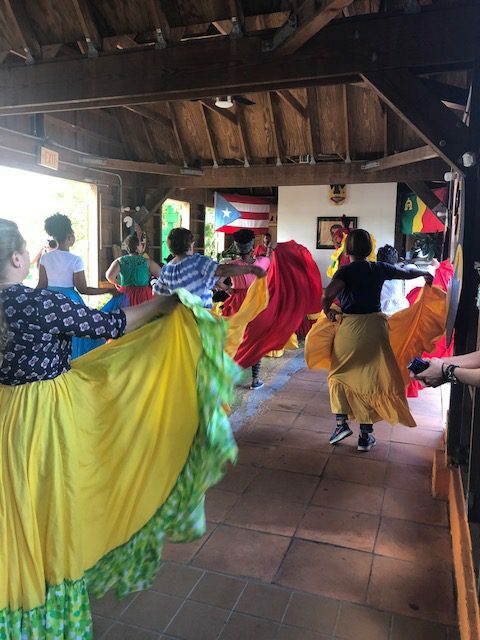 That was how I first encountered Bomba several days earlier, as part of a student group taking one of the workshops that COPI offers to educate visitors about Afro-Puerto Rican culture while also bringing money into the Piñones community. It was not until Román Rivera instructed all the women in our group to choose a long skirt to wear that I realized we were not just there to learn about Bomba but we—a group of majority white student journalists from the U.S. mainland—were also there to partake in it. As the two drummers on stage began to play, I did my best to imitate how Román Rivera danced. I moved offbeat and awkwardly. My face felt red and apologetic when she showed each of the women where our hands should grab hold of the skirts and how we used the cloth material to accentuate the movements of our bodies. With time, we became more familiar with the different rhythms and our movements started to relax as we tried each new pattern of steps. With Román Rivera leading the way, together we created a unique dialogue of sound and dance. 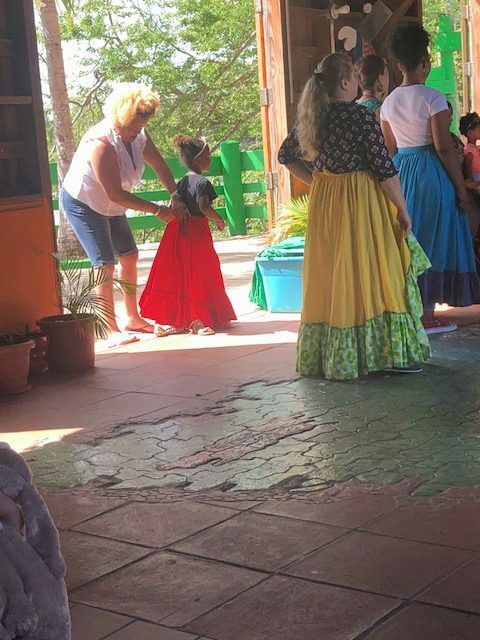 A woman adjusts a child’s skirt at the Bomba workshop at COPI. Photo: Dana Brozost-Kelleher. After the Bomba workshop, we talked with Rivera Clemente, who further complicated how I understood our group’s presence in Loíza. Rivera Clemente founded COPI in 1999 to educate the community about the island’s African heritage, and to improve the image and quality of life for black Puerto Ricans. She tells us that originally the organization was only intended to serve the community, but that it grew to include paying tourists and visitors from outside Piñones in order to sustain itself. Rivera Clemente hoped that in allowing tourists “to learn about our community from its community” that the positive attention would bring people and business back to the area. 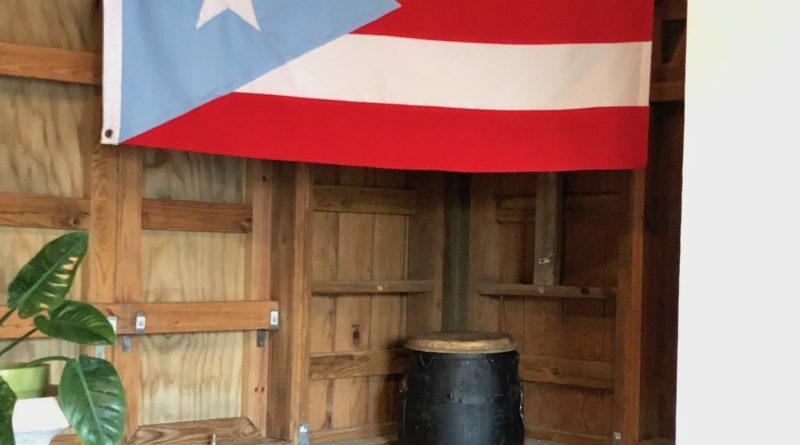 Dr. Abadía-Rexach added that “teaching Bomba to visitors is a source of pride for the people of Loíza.” She says sharing Bomba with non-black Afro-Puerto Ricans can sometimes offer the teacher a sense of empowerment and recognition. “It is their way of helping people to know an aspect of the country that is not very celebrated,” she said. COPI also offers ecotourism services, such as bike and kayak rentals. This allows visitors an opportunity to explore the coastal area and learn about the unique natural environment of Piñones while also helping residents remain in the area and improve the community by stimulating the local economy. Rivera Clemente felt that without a strong sense of identity and community, Piñones would lose the fight against encroaching urban development and be displaced. “We need to start doing something that people feel themselves and feel proud of what they are and where they are coming from,” Rivera Clemente said. Rivera Clemente discussed how she felt a culture of racism on the island has eroded pride in black identity. 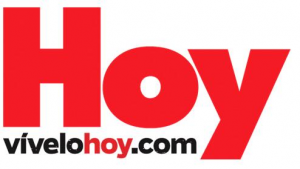 According to an article by Dr. Abadía-Rexach, Puerto Rican history assumes the island’s demographic is a mix of Taíno indigenous, Spanish, and African. 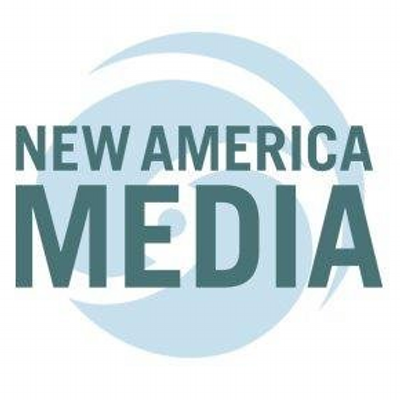 Despite this narrative of a racially mixed demographic, Rivera Clemente finds that many black Puerto Ricans are less likely to acknowledge their own African heritage or black identity. The 2010 census in Puerto Rico showed that 12.4 percent of the population identified as black while 75.8 percent identified as white. By using Bomba as a tool to restore a sense of pride in black identity, COPI helped rescue the tradition as well as contribute to the practice and understanding of its importance in Loíza. The girls from COPI would often perform throughout the town. Though Loíza was well-known for the quicker rhythm of the seis corrido, Rivera Clemente said that the girls from COPI would instead perform a style of Bomba with a much slower rhythm that was uncommon in the area. Rivera Clemente said COPI helped introduce a new style of the dance to the town. Although many in Loíza perform Bomba, Rivera Clemente thinks often people do not recognize the value of the music. She says this is why it is important that COPI combines dancing instruction with teaching about the history of the tradition so that it becomes more than just dancing. “It’s dancing with knowledge, dancing with a compromise, dancing with solidarity,” and it begins a conversation about race and identity in the community, Rivera Clemente says. In 2006, Piñones helped fight off a large proposed hotel development project called Costa Serena that would have undoubtedly displaced residents and caused perhaps irreparable harm to the area’s coastline. Community and environmental groups came together in Piñones and surrounding towns to fight the project–strengthening their activism efforts for years until the government eventually stepped in to block the development. In Piñones, Bomba empowers residents through a celebration of identity. “If you are not feeling happy with yourself, how can you defend your land? How can you defend your community?” says Rivera Clemente. With new development projects a constant threat to the area, the pulsing drum beat that attracts community strength in numbers continues to be a powerful sound.